It is soooooooo good to be back on-line! Not having any internet connection for almost a week was making things really difficult for me! Unfortunately for me though, I came down with some kind of sickness last night and have felt miserable all day, so this will be a short posting. Hopefully I'll be back to 100% soon so I can chat with you more. I saw this card at Debra Daam's and thought it was just too cute not to take a picture of it. 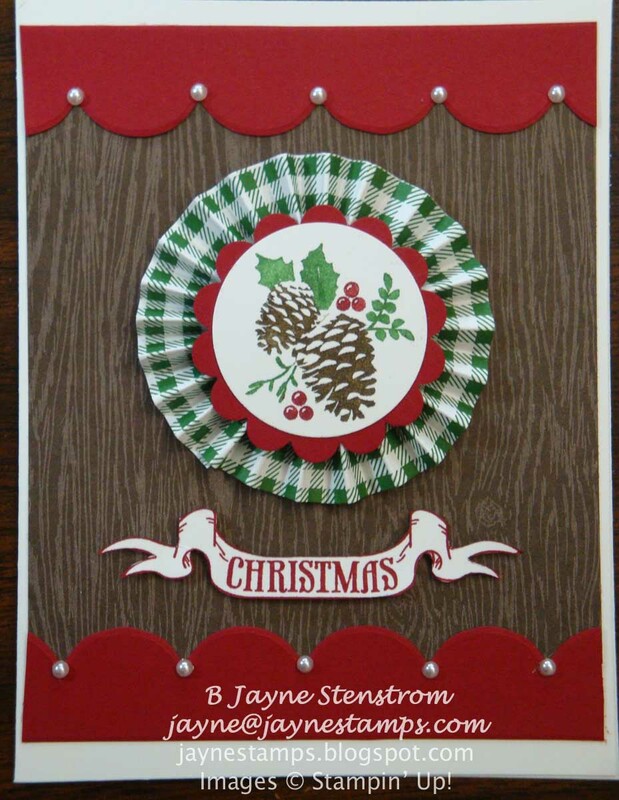 It was made with the Pines & Poinsettias stamp set from the Holiday Mini Catalog, the Frostwood Lodge DSP (doesn't that wood look real? 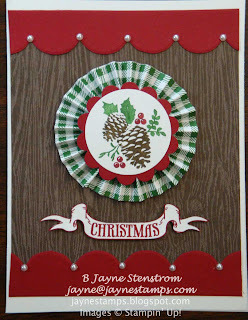 ), the Tasteful Trim Bigz XL Die, and Basic Pearls. The image was colored in with Garden Green, Real Red, and Chocolate Chip markers.